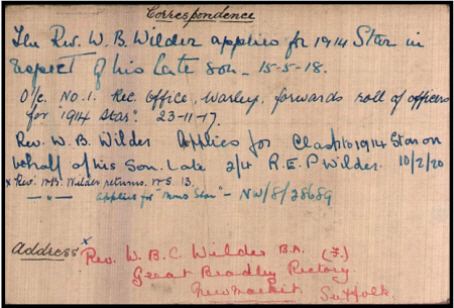 Reginald Connor Phillips Wilder was born in 1896 in Great Bradley (Risbridge Q1-1895 4A:733), baptised in Great Bradley on 24th March 1896, son of Reverend William Burnard Chichester and Mabel Elizabeth WILDER (née GROVE). 1932-1942..P.H.E.Wilder B.A. on the death of the last Rector. From his father's diary :- 29-11-1914 : On Monday, November 23. A telegram from War Office announcing the death of my 2nd son. Rex C.P. 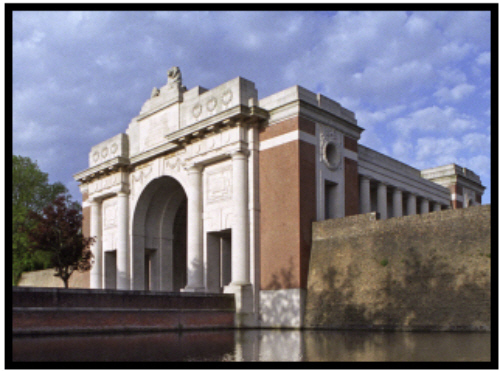 killed in action Nov. 19 1914,"R.I.P." Held a Memorial Service for the poor old fellow at 3 p.m. on the afternoon of the 29th. Church more than full. Service conducted by Rev. B. Fleming. WILDER, REGINALD CONNOR PHILLIPS, 2nd.Lieut.,2nd Battn. 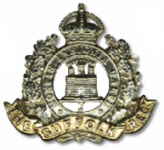 (12th Foot) The Suffolk Regt., 2nd s. of the Rev.W.B.C.Wilder; served with the Expeditionary Force in France and Flanders,and was killed in action there 19.Nov.1914. It was reported that he was shot by a sniper. 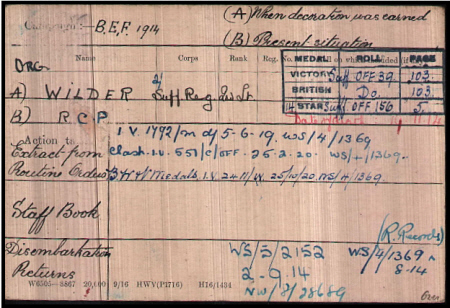 He was found as shown below, buried in Lindenhoek-Wulvergen Military Cemetery but his grave was later lost, hence he has a memorial cross in the cemetery (1919) but is named on the Menin Gate.